Autograph Postcard Signed, to a bookseller in Geneva, evidently placing an order. 3½ x 5½ inches, in good condition, one corner crease. 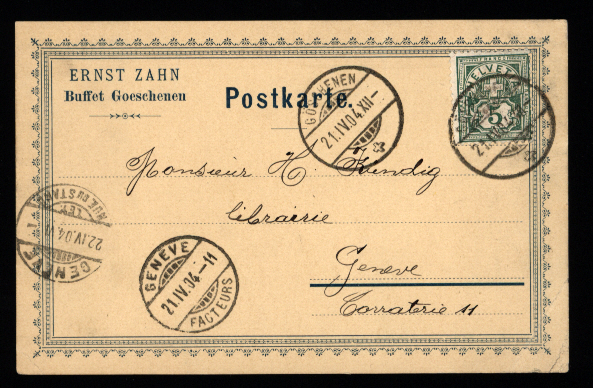 Goeschenen, 21 April 1904. Ernst Zahn (1867-1952), Swiss author.